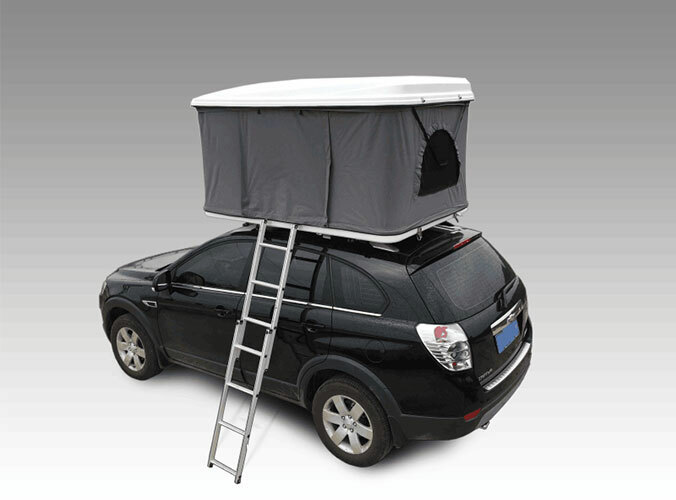 4,Space sense is strong, after opening the roof top tent is 2.4 meters long, 1.5 meters wide, 1.3 meters high. 5, Mounted on the roof can't stop scenery.Mounted on the roof prevent underground water, prevent the beast. 6, Sittings is complete, quality excellent, the aluminum telescopic ladder, cm thickening sponge cushion, give you comfort. 7,Waterproof performance is good, and there are four yarn doors and Windows, ventilation mosquitoes. 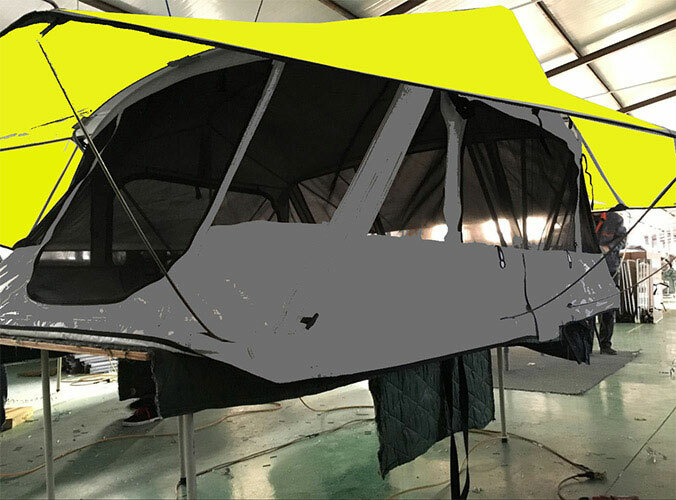 8,The roof top tent easy to carry, after folded into a square, only 47 kg 9, perfect parts supply and after-sales service system.